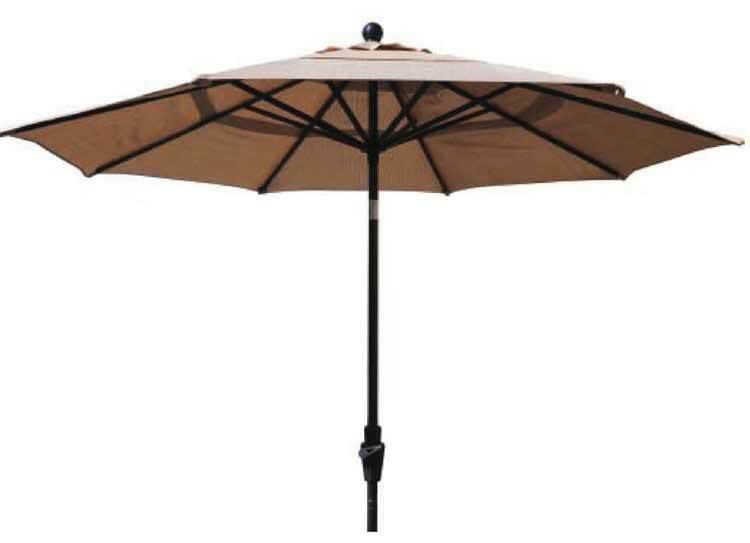 9' Collar Tilt Aluminum Patio Umbrella. Dark Brown Powder Coated Frame. Crank System with Collar Tilt, Double Vent. 5-Year Product Warranty.